Called by many names like the Starlite Dance Floor, Starlight dance floor and starlit dance floor. We can offer you a complete package deal. 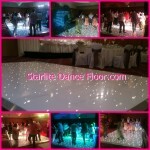 From our range of 5 white led dance floors and up lights we can cover nearly all Ireland. Call today to check availability. One of the newest and must have decor for your event, wedding day or promotion. People call it as they see it, which is a light up disco floor. Also known as the Starlight dance floor. We are based here in Belfast Northern Ireland, but we travel throughout Ireland. 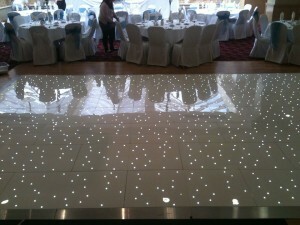 A pure white led dance floor that looks beautiful. Adding that extra sparkle and glamour to your wedding. The lights can remain static or twinkle. 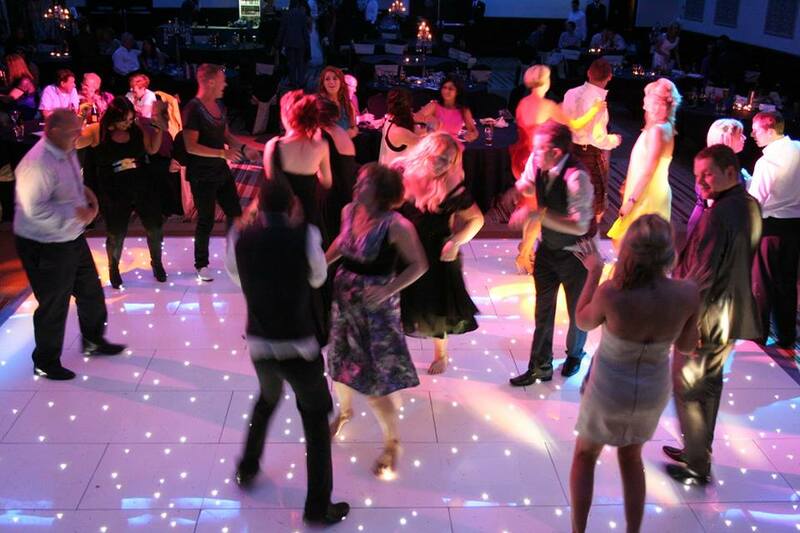 Our brilliant white Starlite Dance Floor is truly magical. 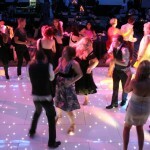 For all events or the first dance for the Bride and Groom. You will want lots of pictures on this truly beautiful floor or possibly your cake table set in the middle. 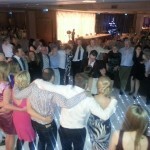 The Wedding Disco is proud to supply one of the few Starlight White Dance Floors in Northern Ireland. That is in full working order. Ensuring that perfect extra touch for your big day. 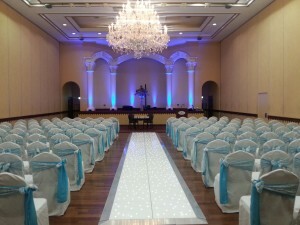 Ceremony Aisle – instead of a red carpet. Cat Walk and fashion shows. Corporate & Black tie Events. Starlite Dance Floor – £300 – 16ft x 16ft and £400 for the – 18ft x 18ft. 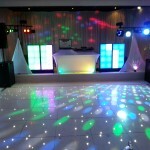 Includes; sound & lighting, Party Interaction, requests slips and pens on every table. 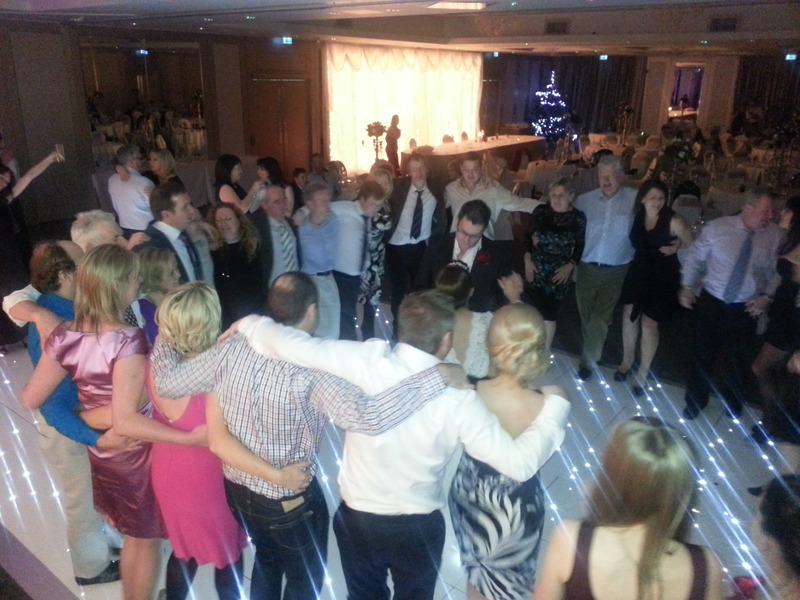 Ceremony music, meet & greet to decide music selection, Personalised music printed for your registrar. Dinner Music – Carefully selected music which sets the mood. 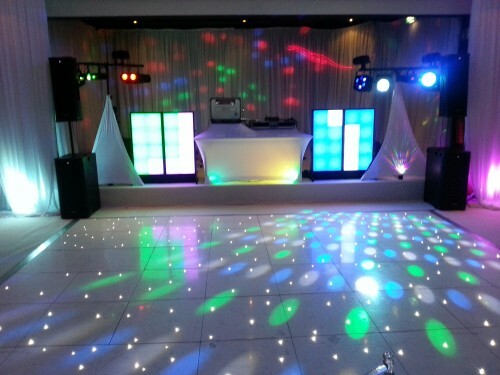 DJ – Professional Sound, Professional Lighting. Stars in Your Eyes – We bring the outfits. Photos – So every moment of your disco is captured. Karaoke – 85000 songs so your guests can sing forever, if you choose. Do not be fooled into thinking every DJ and dance floor are the same, always trust your gut.